There appears to be confusion over the status of Nicolas Anelka. Some reports are claiming that he has walked out on West Bromwich Albion and announced his retirement from football; others that he has been in a state of semi-retirment from the moment he emerged on the scene as a callow teenager for Paris Saint-Germain. The 34-year-old only joined West Brom, his sixth Premier League club, last month and featured in their opening game defeat at the hands of Southampton on Saturday. The striker has played for 11 clubs, costing them a combined near-£90 million in transfer fees, and has 69 caps for France. Despite the lengthy and illustrious CV, he remains better remembered for the rows off the pitch than anything he achieved on it. After scoring 38 goals in 125 appearances for Chelsea, where he was frozen out in his final season under Andre Villas-Boas, Anelka left for China in 2012 but only played 22 games before sealing a loan switch to Juventus in January. Well, he may not have been happy, but it looks like he was right about this being his last club. We’ll have to assume that was some kind of euphemism. The Gareth Bale transfer saga could soon be drawing to a close with Tottenham and Real Madrid in advanced talks over a deal to take winger to the Bernabeu. The transfer has yet to be agreed, but a deal is reported to be ‘imminent’ and is set to eclipse the £80m world record fee Real paid Manchester United for Cristiano Ronaldo in 2009. The figue currently doing the rounds is £94 million (€110 million). Credit where it is due: Spurs chairman Daniel Levy has played a blinder on this deal over the course of the summer. Repeatedly, he and Tottenham boss Andre Villas-Boas insisted Bale was not for sale, all the while forcing the price skywards as the transfer window deadline moved closer. In a game of high stakes poker, the London club held all the cards and when Real Madrid fans do finally get to see Bale in the flesh, they may conclude that they are the victims of an elaborate bluff. 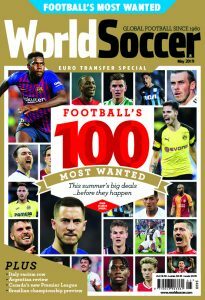 When one looks at some of the players who have broken the world transfer record on joining Real Madrid in recent years, the likes of Cristiano Ronaldo, Luis Figo and Zinedine Zidane, one is tempted to conclude that fine player though he is, Bale is not currently the best player in the world. Indeed, one doubts he would even make the podium. While the saga has played out Tottenham have been quietly spending in a manner that suggests they always knew a windfall was imminent. £60million has gone on four new signings, including a club-record £26million on Valencia striker Roberto Soldado. That figure could be broken again, with a fee in the region of £30million likely to be required to attract Anzhi Makachkala’s Brazilian midfielder Willian to White Hart Lane. Spurs have also been linked with a move for Roma and Argentina forward Erik Lamela. El Salvador has provisionally suspended 22 footballers, nearly all of them internationals, for 30 days each in connection with possible match-fixing, the country’s football federation FESFUT said. “With the investigations which have been conducted up to his point, evidence has been collected which suggests that offences connected to so-called match-fixing have been committed,” said FESFUT in a statement late on Wednesday. The players banned included Ramon Sanchez, Osael Romero, Eliseo Quintanilla, Dennis Alas, Alfredo Pacheco and Marvin Gonzalez, who all have over 50 caps. Other players with regular international experience included Cristian Castillo, Miguel Montes, Rodolfo Zelaya, Victor Turcios and Jose Mardoqueo Henriquez. Only two of the banned players have not played for the national side. All the players are of Salvadorean nationality and two of them play abroad – Sanchez, who plays for Kazakhstan’s FC Vostok, and Turcios, who plays for Rovaniemen Palloseura in Finland. 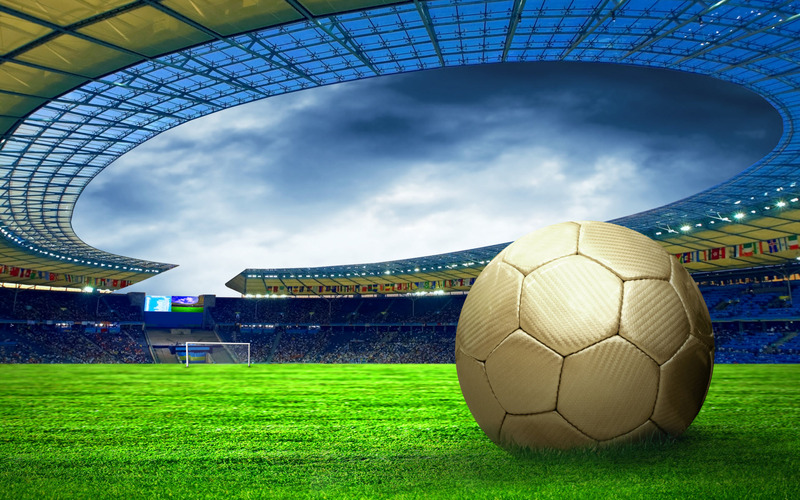 Central America is seen as especially vulnerable to match-fixing as many clubs struggle financially, and players often do not get paid on time. Fabulous technique from Atletico Madrid’s David Villa as he volleys home from the egde of the area against his former club Barcelona. Jose Mourinho sees similarities between himself and current Aston Villa boss Paul Lambert. One hopes that in ten years time, Lambert is not quite so patronising towards his peers as Mourinho. German club Schalke accused police of being too heavy handed on their fans after moving in to remove a banner during their 1-1 draw against Greece’s PAOK in their Champions League playoff tie on Wednesday. Over 100 riot police, using pepper spray and batons, moved into the stands to remove a Macedonian banner unveiled by the home supporters that had angered the visiting fans. Greece has a long-running dispute with Macedonia over the former Yugoslav republic’s name and says only its northern province can be called by that name. “This deployment, however, was completely disproportionate. We cannot approve any of this, nor do we have any understanding for it,” said Schalke board member Peter Peters in a statement. Peters also criticized Greek police officers at the game for “twisting the facts” and that the German police had reacted to recommendations from their Greek colleagues. Sitzer said that about 2,000 Greek supporters had threatened to invade the pitch and attack Schalke fans because they felt provoked by the banner. “In such a case life and limb of many would be threatened, even those uninvolved,” police said in an earlier statement. Schalke said despite repeated efforts to have the fans remove it, the banner remained, further angering the Greek supporters. “Fans in the north tribune had unfurled a banner of “Komiti Skopje”, the ultras of (Macedonian club) Vardar Skopje who are friends of the Schalke ultras,” the club said. Peruvian striker Jahirsino Baylon was forced to travel 900 km to help his former club Universitario complete the remaining eight minutes of a previously abandoned first division match against Melgar on Wednesday. Baylon travelled from the north of Peru, where he now plays for Union Comercio, just so the same two line-ups could resume the league match abandoned on July 21 as ordered by the Peruvian Football Federation (FPF). Ironically, and in accordance with a deal between the respective clubs, he did not touch the ball and was immediately substituted so as to avoid the risk of an injury that would impact upon Union Comercio. The original match in the southern city of Arequipa had been abandoned in the 82nd minute with the score at 2-2 when match officials were attacked by Melgar players and coaching staff after they had a potential winner disallowed for offside. Melgar coach Franco Navarro was handed a 10-match suspension, later reduced to eight on appeal, for grabbing the offending linesman by the throat. There were no further goals on Wednesday so the teams shared the points. FIFA’s secretary general Jerome Valcke has hinted at a possible change to the World Cup bidding process in response to a number of challenges in organizing next year’s tournament in Brazil. Valcke told reporters at a briefing in Rio de Janeiro he would like to see congressional approval required as part of the bid package for countries hoping to host the World Cup. “I think it’s a good idea because it would make a support that’s a national support versus just a bid submitted by a member association with government guarantees,” he said, adding such a measure would give the bid more legitimacy in the public eye. Nationwide protests swept Brazil in June during the Confederations Cup warm-up tournament, with many protesters complaining that billions have been invested in world class venues while basic public services like education and health care were inadequate. Valcke said that such a measure would guarantee the public is behind the event and cited a recent referendum in Switzerland, which saw the country refrain from bidding to host the 2022 winter Olympics after it was rejected by voters in a single canton. Seeking prior approval from the would-be host countries could head off problems like those FIFA has to face in Brazil, Valcke said. The organization has repeatedly been in dispute with Brazilian officials over organizational mishaps, stadium delays and other issues. You can see why Valcke is more comfortable dealing with dictators and absolute monarchs than democratically elected politicians. The Premier League will have to be cut short, and England would need to travel to Qatar at least a month in advance, if they are to stand any chance of success at the World Cup, according to leading sports science experts. Professor John Brewer, who is director of sport and enterprise at the University of Bedfordshire and a member of England’s backroom staff at the 1990 World Cup, believes that preparation is key. “Physical performance and decision-making will be impaired in hot conditions,” said Prof Brewer, a former Head of Sport Science at the Football Association and someone who presumably, also acts as a consultant in stating the obvious. .
“The research we have done in our environmental chamber has involved simulating the demands of football matches in environments that come close to replicating conditions in Qatar. “The results are unsurprising; but we’ve also found that players’ bodies could adapt to the extreme conditions if the squad arrives in Qatar early enough. The chances of the Premier League sanction something like this are exceedingly remote, but possibly not as unlikely as English football embracing Professor Brewer’s other recommendations. To complement the acclimatisation process, he argues that England would need to develop a slower and more intricate style of play, similar to that of Spain. “The high-tempo game we see in the Premier League on a regular basis may not be the type of football that can be sustained for 90 minutes or extra-time and penalties in a World Cup,” he said. “If you like to see a style of play that sees the ball being passed around at a lower-tempo, then I think that’s what we’ll see in Qatar. Galatasaray president Unal Aysal has confirmed that he will permit coach Fatih Terim to manage Turkey until the end of the season. Former national team boss Abdullah Avci left his post earlier this week following a poor run of results. Aysal has said that his club will allow Terim to take charge of his country until May 2014 in conjunction with his duties at the Turk Telekom Arena before stepping into an advisory role with the TFF. Terim’s current contract with Galatasaray expires at the end of the current campaign. The 59-year-old Terim has previously coached Turkey twice, helping the nation qualify for the European Championship for the first time in 1996 and leading the team to the semi-finals of the 2008 edition of the tournament. Turkey’s next game is a World Cup qualifier against Andorra at home.